Back at IceBike 2015, we spotted Ridely’s extremely early showing of its 2016 cyclocross models, including the new X-Night and X-Night SL. Although the company is moving to an all-disc brake bike lineup, it still holds on to some the traditions of cyclocross, such as refusing to put two water bottle bosses on their X-Night models, among other things. At Press Camp 2015, we spotted a few Ridley models without a clear coat finish that look to sit directly between the Fenix endurance road models and full-range of cyclocross models. One model equipped with Challenge Paris-Roubaix 700x27c tires and the other with Challenge Gravel Grinder 700x40c tires. 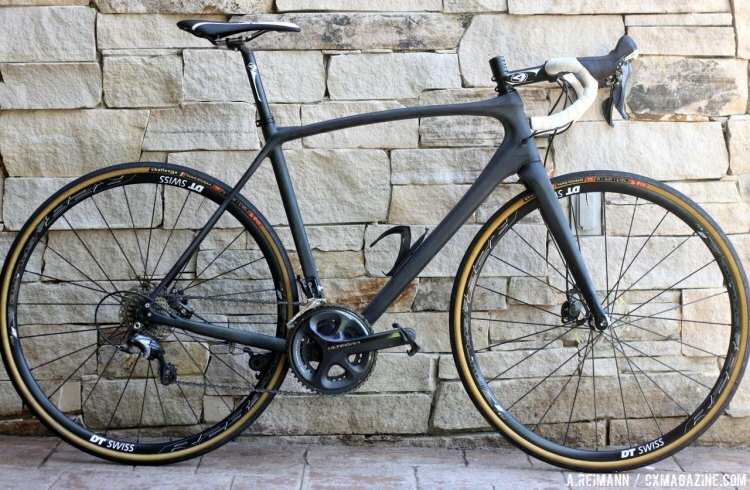 That along with the lower bottom bracket and the slightly slacker head tube leads us to believe that Belgium-based Ridley is about to invest in the largely American gravel scene. 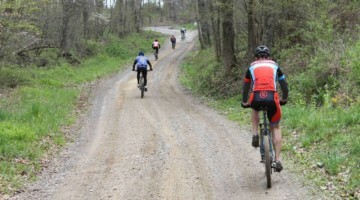 We’re hesitant to all this a gravel-focused bike, however, but more of a do-it-all bike. We took the model with the 40c gravel tires on a “somewhat authorized” spin on Deer Valley’s singletrack, and the bike gave us feedback more akin to the snappy chainstays of a cyclocross bike. Companies are quick to label bikes as specific to one discipline, but that’s not consistent with how many of us ride. Thus the X-Trail may be a versatile bike that you may take on group road rides, and hammer out some dirt miles, put through a few gravel grinders, and then line up with at a few occasional cyclocross races as well (all in one weekend, of course). Stay tuned as we plan to test a production model. 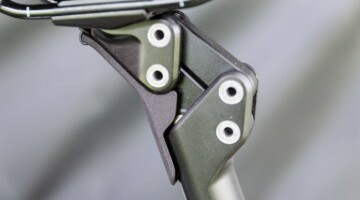 The prototypes had some nice touches that would be good to see on a production model, including a scratch guard for the disc fork to protect the paint while installing the rotor-equipped front wheel, as well as thru axles front and rear. The internal cable routing is immaculate and the fork mates well with the frame in an aerodynamic posture appropriate for road or gravel. Ridley isn’t opening up about many of the details of the prototype, although the words “X-Trail” were used. So far, it appears as if Ridley might be ready to release a frame that can feel at home in the mud, on the cobbles, or over gravel. Stay tuned. See more photos of the 2016 Ridley “X-Trail” Prototype bike in the gallery below. This is my next bike!